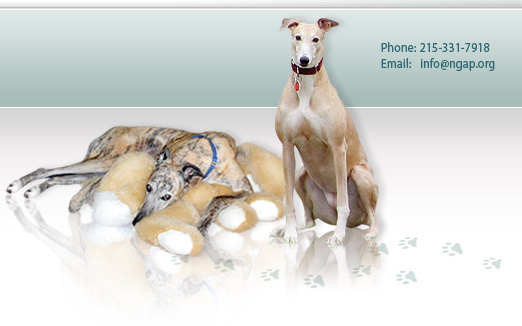 Pannus, also called chronic superficial keratitis, is an eye condition common in greyhounds. It is indicated by an inflammatory disorder of the cornea, which is the outer most surface of the eye. German Shepherds also have an inherited predisposition to pannus. Clients will notice changes on the cornea, such as new blood vessels, focal pigmentation (black or brown spots) and a blue color which suggests edema, or extra fluid from inflammation. 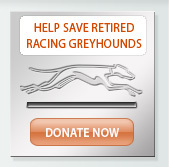 We have seen two greyhounds recently, both of whom had evidence of pannus on just one side of the eye. It seems to start at the corner of one eyeon the opposite side of the eye from the nose. Dogs will sometimes appear irritated and have extra ocular discharge. Some owners notice there is a discoloration to the surface of the eye. Because this appears to be an inflammatory condition, dogs may paw at their eye and appear uncomfortable. That is when owners visit their veterinarian, who will examine the eye and suspect pannus. Other possibilities could include a corneal ulcer, or 'dry eye' (keratoconjunctivitis sicca-KCS). Differentiating these conditions from pannus entails staining the eye with a special stain to see if there is a corneal ulcer and checking tear production, which when low can suggest KCS. 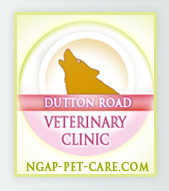 A general veterinarian can look at a dog's eye and have a suspicion of pannus. A veterinary ophthalmologist can confirm it. Not all clients can afford to see a specialist, but the treatment for this condition is fairly straightforward. Because this is considered an immune-mediated inflammatory condition, the goal of treatment is to decrease the inflammation as much as possible. High dosages of eye medication are prescribed and are continued until there is improvement. The medication frequency is decreased when the condition subsides. The goal of treatment is to prevent progression of the disease and to hopefully decrease the presence of the blood vessels and inflammation on the corneal surface. Scar tissue is not reversible. It is a condition that requires life-long management and working with your veterinarian on a regular basis to keep your dog comfortable. Unfortunately there is no cure, but early intervention is key. If the cornea gets to the point of excessive pigmentation, there are procedures that can be performed to eliminate this but a veterinary ophthalmologist should be consulted.